Continuing to build a legacy of success. Johnson Carlier's mission is to deliver an incomparable customer experience, through proactive and exceptional performance. Our empowered team builds with Integrity, Skill and Passion. As 3rd generation and CEO of Johnson Carlier, Inc., Chris has extensive experience in every aspect of the construction industry. He joined the company in 1972 as a carpenter, then became a superintendent, then a project manager. He was later promoted to General Manager / Vice President. In 1979 he became President and C.E.O. and in May of 2001, Chris became Chairman and CEO. He is responsible for the leadership and growth of the firm and overall performance of the organization. He believes community involvement should be an integral part of any business and has been actively involved in several civic organizations. Tom Harrison has more than 20 years of business development and construction management in Arizona. Aggressive and meticulous, Tom has managed more than 1.2 billion dollars of projects within a variety of delivery methods including Construction Manager at Risk (CMAR) and Design-Build. As a leader, Tom works to motivate team members through empowerment, respect, and guidance during project planning, preconstruction, and construction. 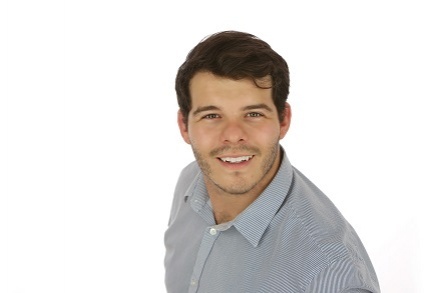 Tom is also focused on client service and delivering every project on time and within budget. Tom has expertise in multifamily projects, sports arena construction and renovation, healthcare, and hospitality. With more than 30 years of experience, Tyler's extensive knowledge of the construction industry includes expertise in project management, cost control, value engineering, and labor relations/management. Tyler graduated from Brigham Young University with a Bachelor of Science in Construction Management and Business Minor. After graduating, he worked through the ranks as field engineer, estimator, project manager, director and other roles. Through his career, he has successfully led his team building projects across multiple regions and project types. As our VP of Preconstruction, Tyler is responsible for the delivery of preconstruction services including both conceptual and hard bid estimates, bid packages, qualifications and other deliverables and working with our teams from concept to completion. He is also responsible for sustainable growth of the company through its vision, mission and values. Rick Weiss was born and raised in Northbrook, Illinois, attended Arizona State University and graduated in 1983 with a Bachelor of Science degree in Construction Management. Since joining Johnson Carlier in 1986 as a Project Manager / Project Superintendent, Rick has managed all types of projects. 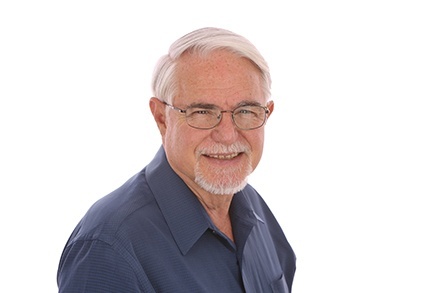 He currently manages multiple projects as well as coaches and mentors on best practices and overall successful project management skills for project engineers, project managers, and superintendents. Rick also spends time cultivating and maintaining client relationships supporting the future growth of the company. 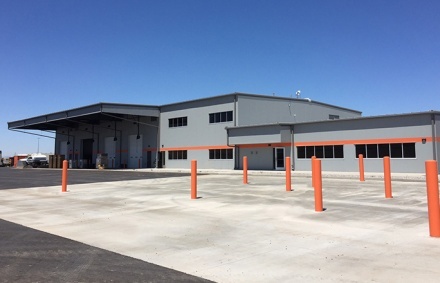 Johnson Carlier Completes Schneider Trucking location! 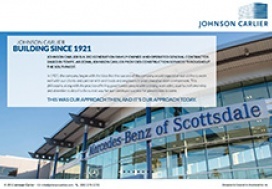 Johnson Carlier Recently Completed the Mercedes-Benz of Gilbert Dealership! PHOENIX - October 4, 2017 - Johnson Carlier (www.johnsoncarlier.com) announced today that it has signed a definitive agreement to be acquired by the Big-D family of companies, which includes Big-D Construction, headquartered in Salt Lake City (www.big-d.com), and Martin Harris Construction, headquartered in Las Vegas (www.martinharris.com). The acquisition is expected to close later this month. 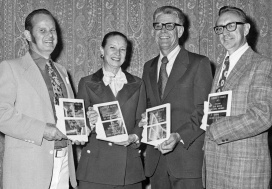 Johnson Carlier will continue to be headquartered in Tempe, AZ where it has served the Phoenix community for nearly 100 years. The company will continue with the same name and Chris Johnson, whose grandfather started the business in 1921, will continue as CEO of, and to locally manage, Johnson Carlier. "Everyone here at Johnson Carlier is very excited about this new chapter in our company's history. And the best part for me-it ensures that our company and all of its employees will have a brighter and more resource filled opportunity to build on successes of our past and launch us into the next 100 years," said Chris Johnson, CEO. 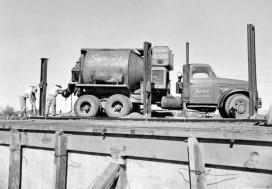 Since it was founded in 1921, Johnson Carlier has left its mark on the Phoenix area with hundreds of successful projects, especially in its most robust markets including: automotive, food & beverage, distribution, higher education, hospitality, and healthcare. This transaction will allow Johnson Carlier to better serve its customers by enabling the company to take on larger, more complex projects in Arizona, as well as increasing its bonding capacity and resources. The move will also allow Johnson Carlier to further its mission of delivering an incomparable customer experience as Arizona continues to observe unprecedented growth. "This acquisition is part of Big-D's vision to strengthen our company through alliances with premier builders in selected markets. 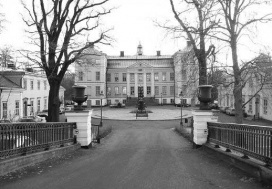 Johnson Carlier has a storied history and is highly respected for its integrity and service to its customers. We are excited to be a part of their future," said Jack Livingood, Big-D Construction Chairman. 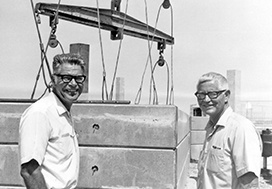 Johnson Carlier is a third-generation Arizona-born and independently managed general contractor, providing construction management, design/build and CMAR services throughout the southwest. The company is headquartered in Tempe, Arizona. For more information, please visit www.johnsoncarlier.com. As one of the largest construction organizations in the country with revenues exceeding $1.5 billion, Big-D's family of companies includes more than 1,300 associates and 50 years of experience providing Design-Build, General Contracting and Construction Management services to customers from a wide variety of industries. Regional offices are located in Salt Lake City, Ogden, Lindon and Park City, Utah; Pleasanton, California; Minneapolis, Minnesota; Jackson Hole, Wyoming; Las Vegas, Nevada and Tempe, Arizona. For more information, please visit www.big-d.com. Tim joins Johnson Carlier as a Senior Project Manager. He has an extensive resume of constructing education facilities, having built over 25 such projects during his career. Tim received his degree from Arizona State University with dual studies in Construction Management and Political Science, then went on to receive his Masters in International Relations-Conflict Resolution/Business from the University of Hawaii. He is GBC LEED Accredited Professional and a Certified Professional Constructor from the AIC. Outside of work, Tim loves to enjoy time with his wife and kids at home. Johnson Carlier is proud to announce the addition of industry veteran, Paul Schoeffler. Paul is an experienced construction professional with proven conceptual abilities that develop preconstruction strategies to enhance the collaborative efforts of the entire project team. With almost 30 years in the industry, he will be a great resource to the precon team as our new Senior Estimator. This new retail center opened up just south of the 101 and Scottsdale Road earlier this month! Crossroads East included two new ground-up retail and restaurant buildings. The construction is masonry with a steel roof structure. The retail center is conveniently located close by to a luxury apartment complex and future hotel, as well as the many auto dealerships located on that stretch in North Scottsdale. Residents and nearby workers can get their caffeine-fix at the new drive-thru Starbucks! You can visit Crossroads East at 18511 North Scottsdale Road. On June 22nd, Schneider opened up their new 2,300 square-foot Phoenix location! The facility allows for more local transportation resources and driving opportunities to the area. The project included asphalt parking for more than 180 trailers, eight service bays, a full laundry facility and high security parking. The facility will comprise nine buildings, including a two-story structure. Click on the link button above for a YouTube video of the site! We would officially like to welcome our new Project Engineer, Bruce Lebron, to the Johnson Carlier team! 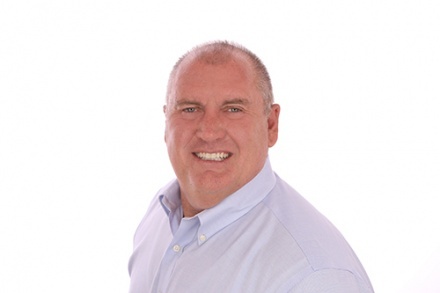 Bruce has worked in the construction industry for the last 7 years, specializing in office TI and commercial roofing. He is a Bluebeam expert that will make a great addition to our operations team. Bruce will be responsible for assisting Project Managers and Superintendents to help progress projects and maintain relationships with clients. 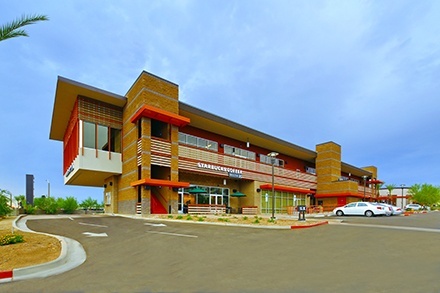 On Tuesday, June 6th, we will be hosting a networking breakfast at 8:00 AM with the Arizona Self-Storage Association at Johnson Carlier Headquarters in Tempe. The event will be a great opportunity to network with self-storage colleagues about industry trends, development in the valley and legal topics. We invite all interested to attend! RSVP on the AZSA website or contact Sue Sylvester for more details. 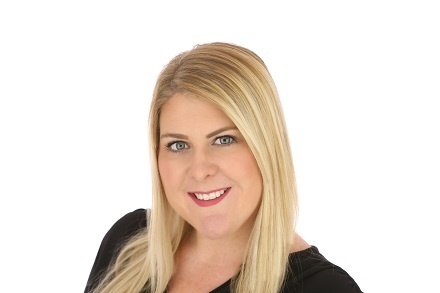 Johnson Carlier would like to officially welcome Elizabeth Griggs to the team. Elizabeth will be our new Senior Marketing Coordinator. Shes has a Bachelor of Arts degree from the Hugh Downs School of Human Communication at Arizona State University. Elizabeth has worked in the construction industry, both residential and commercial, for five years. She will be handling all of our marketing needs from proposals and growth strategies to social media and brand development. This new $12 M, 93,300 SF, two-story, AMG Dealership is placed on a 7.0 acre site located in Gilbert, Arizona. 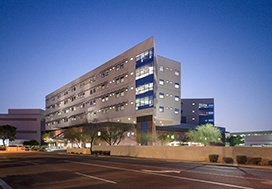 The building includes a two-story post tension parking garage and ramp, elevator, 26 bay vehicle service center, four sprinter van service bays, full service carwash, detail bays, partially enclosed service drive, a three-story parts interior racking and shelving system, and a 30' tall radius glass window wall. Special features include powder coated exterior columns that carry an epic deck canopy and overhang, a 44' tall blade wall covered by ACM paneling and housing two back lit Mercedes-Benz star logos, 30' open sales floor ceiling painted with a specialty two part automotive paint, and 2nd story windows with two way mirrored glazing. Sue Sylvester has joined Johnson Carlier as Vice President of Business Development. Sylvester brings over 15 years of business development experience in the architecture, construction and engineering (AEC) industry to her new role. She is a native to Arizona and has deep client and delivery network relationships in the Southwest. 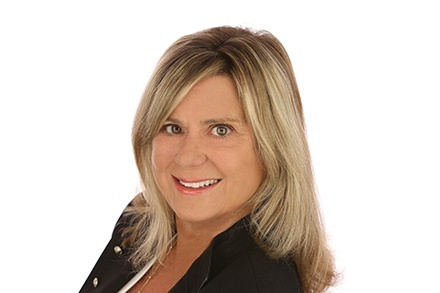 She has led diverse teams across the AEC industry for record targeted revenue goals. Sylvester will be responsible for leading the entire business development team through strategic and goal-oriented approaches. Her main goal will be to build new client relationships and increase client retention. 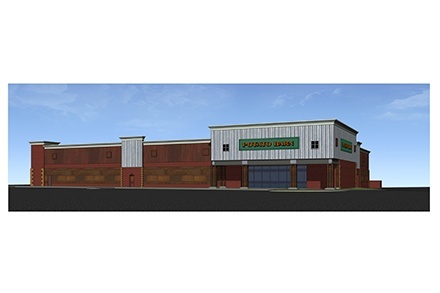 Potato Garden L.L.C., an Arizona home furnishings company, announced today that they are breaking ground on a new store to be located at 8980 East Bahia Drive, Scottsdale AZ 85260. The groundbreaking will be held Monday, March 28th at 9:30 am. The new 40,000 square foot building is designed to offer a convenient sales environment for shoppers from across the Phoenix metropolitan area. The facility will include a showroom, stock room, break room, restrooms and office spaces. 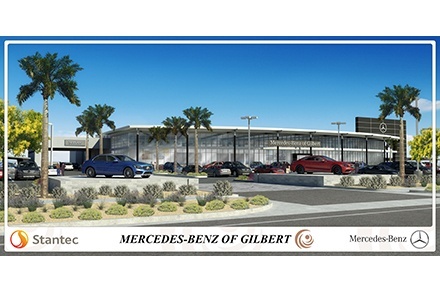 Gilbert, AZ - Mercedes-Benz of Gilbert announced today that groundbreaking for its new luxury automotive dealership will take place on February 22 at 2:00 p.m.at 3455 Gilbert Road in Gilbert, AZ. 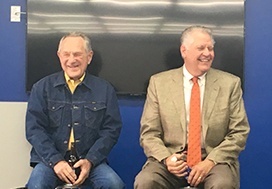 The facility is designed to offer a cutting-edge sales and service environment for shoppers from across the Phoenix metropolitan area, while the location in particular showcases the increasing affluence and economic importance of the Town of Gilbert. "We could not ask for a better site for our dealership," said Charlie Alfano, owner and operator of Mercedes-Benz of Gilbert. "The city has been nothing short of fantastic to work with, and we are very excited to have the opportunity to show people all across the valley what luxury car buying really means today. The showroom and service facilities we are putting in place are like nothing else in the market, and we cannot wait to break ground and bring it to reality." The 70,000-square foot facility is being constructed on a 7-acre parcel centrally located in the emerging high-end Rivulon development directly across Gilbert Road from the Chandler AutoMall. Rivulon, developed by Nationwide Realty Investors, broke ground in 2014 and welcomed its initial tenants shortly thereafter. When complete, Rivulon will include 3 million square feet of commercial office space, significant retail area and a hotel. The Mercedes-Benz of Gilbert sales facility fits squarely in to the Rivulon aesthetic, with a sleek, contemporary sales environment that comfortably accommodates 15 vehicles. 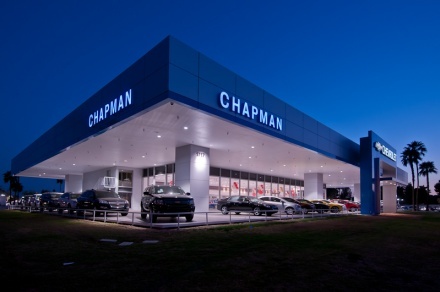 The air conditioned service facility offers bays for 26 vehicles and houses a fully stocked parts department. Along with this generous size, the service area is being constructed to facilitate two of Mercedes-Benz USA's most distinctive programs, the Digital Service Drive, which enables customers to schedule appointments right online, and Premier Express Service, which gives customers the convenience and speedy service their busy lives require. Importantly, all of the dealership's built areas will incorporate progressive design and structural features, including a variety of green technologies for energy savings and environmental benefit. This includes the use of passive solar, daylight harvesting systems and leading-edge energy management systems. One of the most noticeable features will be the contemporary LED lighting employed inside and out, even extending to the dealership's lot. This advanced lighting system will significantly reduce the wasteful and unsightly light spill-over that is so common among the previous generation of automotive dealerships. The dealership is expected to be home to a total of 150 employees at full staffing, including positions for managers and executives, finance specialists, salespeople, administrative professionals and service and repair technicians. As noteworthy as the number of jobs is, the organization is equally focused on the quality of those jobs, as well. In particular, Alfano intends for Mercedes-Benz of Gilbert to become the premier automotive employer in the marketplace by offering a competitive compensation and benefits package, providing multiple training opportunities for everyone from entry level associates to executive management, collaborating with local tech institutes to expand technician programs, establishing a clear career path for all employees and fostering an environment that is built around mutual respect and team participation. "In the end, our goal is to create a facility for our employees and our customers where we deliver 'The Best or Nothing,'" said Alfano. "Our team is united by the understanding that from the day we break ground to the day we open and every day beyond then, everything we do will be done in the best possible manner. An insistence on excellence day-in and day-out will be our key to success, and we look forward to being a successful part of the Gilbert and greater Phoenix community for many, many years to come." C.O. (Carl) Johnson was born in Finspong, Sweden. 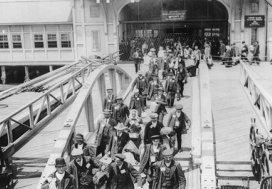 Ellis Island was transformed into an immigrant station. Architects Edward Lippincott Tilton and William Boring designed the immigrant station building. Carl emigrated from Sweden when he was just seventeen years old. Carl was chosen by his 7 sibling as the one who should travel to America, make good, and bring the rest of his brothers and sisters over to the United States. The average wage was 22 cents per hour. Carl started the business by building homes. Carl and wife Pearl had a son. Lee Allen Johnson was born in 1923. 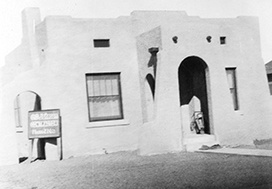 One of the first homes Carl built was an adobe pueblo style home in Phoenix. "The Great Gatsby" by F. Scott Fitzgerald is published. C.O. Johnson - Builders and Constructors hired to build new Glendale Library. The Hoover Dam is completed 2 years ahead of schedule on March 1, 1936. In 1946, Lee joined his dad in the business and things really took off. 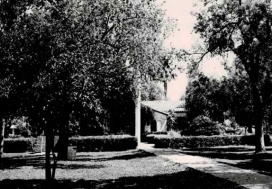 The 40's were focused on building college dorms, elementary and high schools, and churches. In 1951, they built mining operation office buildings and warehouses in the Bagdad mine. The first self-service elevator is installed by Otis Elevator in Dallas. Lee had taken over many of the leadership and management responsibilities. 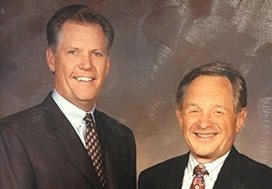 Two key employees that helped Lee during this time of growth were Robert E. Mann; Vice President and R.C. 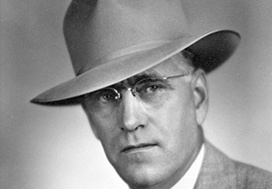 Strembel who was a Lead Estimator. Notable projects include McClintock High School, Camelback High School and St. Luke's Hospital. 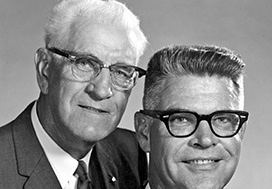 In 1964, Carl decided to officially retire and son Lee Johnson took over. In the 70s, the success continued. The first tenants moved into the North Tower of the World Trade Center in December 1970. 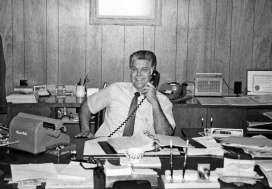 In 1979, Chris bought the company from his father as Lee decided to retire. Cost of a gallon of gas is 86 cents. 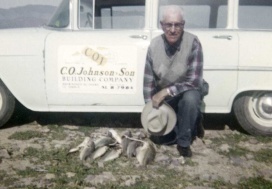 Chris partnered with Mr. Gene Carlier and thus Johnson Carlier was established. Cost of a first class postage stamp was 15 cents, then 18 cents and by end of 1981, it was 20 cents. The 90s were filled with great success in building all types of projects from schools, museums, hospitals, auto dealerships, libraries and public works projects. The 90's saw the growth of the World Wide Web and the Personal Computer PC. After many years of great partnership Gene Carlier retires and design on the new corporate office begins. 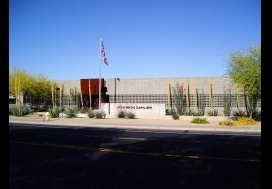 Johnson Carlier builds their new corporate office in Tempe. 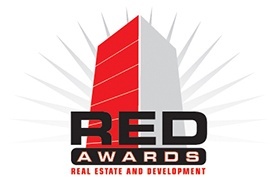 JC received the Most Challenging Project Award for the Mercedes-Benz of Scottsdale project. ALS Ice Bucket Challenge takes internet by storm. In July of 2016, Johnson Carlier launched a new website to reflect the evolving nature of the firm and the technology we use. The new website reflects who we are honest, uncomplicated builders who build quality projects. NASA's Juno spacecraft arrives at Jupiter. The 2016 Summer Olympics take place in Rio de Janeiro, Brazil. This transaction allows Johnson Carlier to better serve its customers by enabling the company to take on larger, more complex projects in Arizona, as well as increasing its bonding capacity and resources. Johnson Carlier furthers its mission of delivering an incomparable customer experience as Arizona continues to observe unprecedented growth.